A section of the A14 to A1M in Cambridgeshire will be again be shut this weekend and for the following two weekends after. 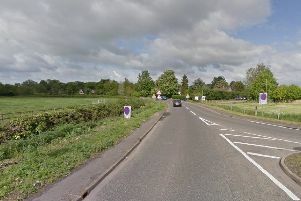 Some 1.3 miles of the A14(M), which connects the A14 to the A1(M) near Huntingdon, will be fully resurfaced. The Alconbury Interchange Bridge will be improved as Highways England completes waterproofing and joint replacements. Work will also be done to clear vegetation, clean drains and upgrade the safety barrier to the latest standards. The work is taking place over four consecutive weekends and started last Friday, June 8.